The Fired Earth Paint Collection Swatch Book. 160 colours gathered on Fired Earth’s travels at home and abroad in a single colour book. One colour per page. 200mm x 70mm. 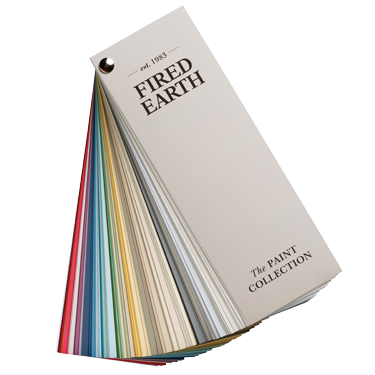 The Fired Earth Paint Collection Swatch Book. 160 colours gathered on Fired Earth’s travels at home and abroad in a single colour book. The swatch fans out to reveal a range of subtle neutrals, bold accents and harmonious pastels. United they form a palette echoing the hues and authenticity of our natural and cultural heritages. 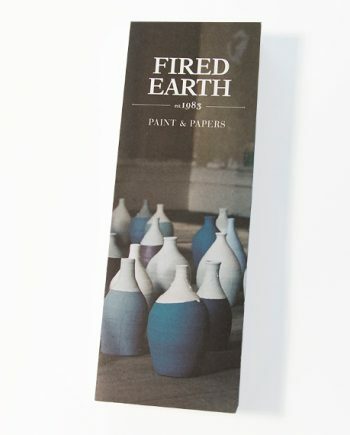 Click here for the FREE Fired Earth Colour Card. The Fired Earth FREE Colour Card brings together 120 colours, including elegant neutrals, bold accents and charming pastels, ensuring there really is a colour for every room. It’s not just beautiful shades that make our paint special though. It’s also the fact that it is formulated to perform superbly and have a minimal impact on the environment. Fired Earth Archive collection of colours are those which were once in Fired Earth’s main colour palette. They have since been archived to make space for new colours. But good news! They are still available where required. No longer in stock and so have about a 5 day lead time for delivery. Please use our ‘Chat’ facility or let us know if you are interested in Fired Earth Archive Colours.